It can output an alarming 100W of juice over a single USB-C PD port, and while not many devices can take full advantage of that kind of charging speed yet, there will surely be some in the future that can. 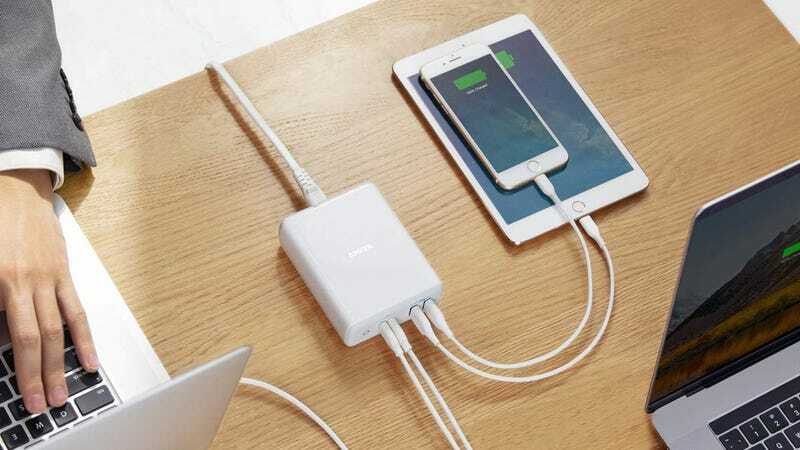 In the meantime, it can also intelligently share all of those watts between up to four devices at once, providing plenty of power to charge a couple of laptops and phones simultaneously. In addition to consolidating all of the wall chargers currently in your carry-all, it’ll also save you valuable AC plug real estate. So whether you take it on-the-go or keep it on your desk, you’ll have enough ports to keep your mobile gadgets charged up. And right now, early adopters can pick up this newly released device for $10 off its advertised price. What&apos;s Your Favorite Valentine&apos;s Day Candy?